The new iPad is now available on Apple Store. 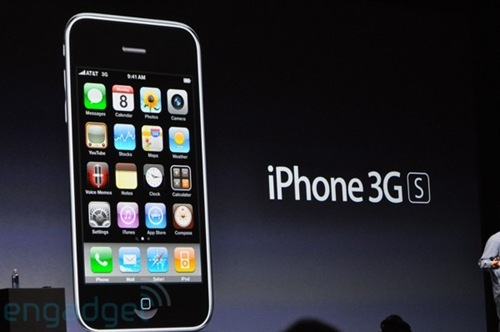 There are rumors that Apple is recycling the iPhone 4 camera. The CPU is new A5X, builded on Samsung labs and designed by Apple. 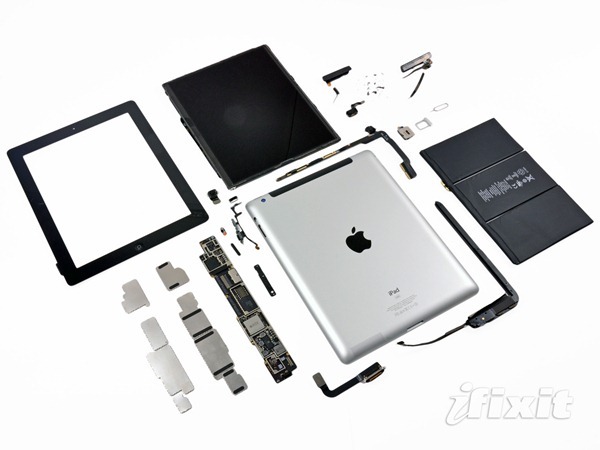 Disassembling photos are provided by iFixit. Finally the official Messenger Apps comes for iPhone. 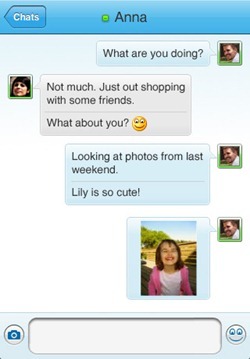 Microsoft has published the Windows Live Messenger on iTunes, and Apple approved it. 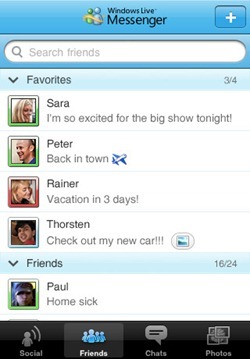 There was various methods and apps to use Windows Live Messenger on iPhone, but let have a look to this new apps. 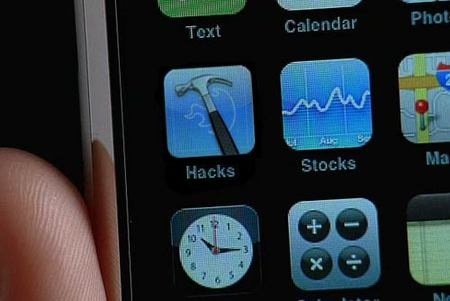 Here is a list of must-have apps for your iPhone. I’ve spend some time to finding out free apps with direct links to iTunes. Included applications also for Facebook, MySpace and Twitter. A personal assistant Condemn your organizer to the scrap heap with this app, letting you fit all your personal accounts in the palm of your hand. AroundMe Instantly find nearby banks, gas stations, coffee shops, and other businesses and services. Bubble wrap Everyone loves bubble wrap. Pop, pop, pop! It shouldn’t be fun, but it really is! This wonderfully simple app shows off the responsiveness of Apple’s touchscreen. Dashbuster Manage your Blockbuster or Netflix queue anytime, anywhere. Great for those times when a friend recommends a movie and you think, "Yeah, I gotta rent that." Facebook The ultimate timewaster, sorry, social networking tool. Use Facebook’s dedicated iPhone app to keep in touch with everyone you know and update them with your every move. 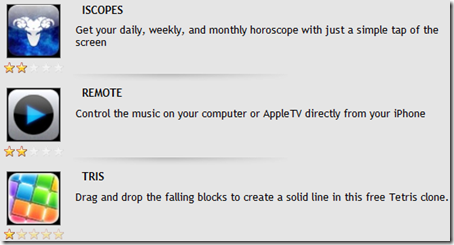 Google Earth Like the desktop version? The iPhone app is even cooler because it can pinpoint your current location and "tilt" your view as your tilt your phone. Graphing Calculator Why spend big bucks on a graphing calculator when your iPhone/touch can do the job for nada? This uber-handy tool offers functions ranging from absolute value to tangent. Hanoi A beautiful rendition of the classic Towers of Hanoi game. The object is simple: move a stack of disks from one side of the board to the other. I couldn’t put it down. AppVee is new website for iPhone apps review. Inside you can find iPhone apps separated in categoryes and every entry is associated with screenshots, video reviews, user reviews, recommendations, and real analysis. How many filename extension do you know? A filename extension is a suffix to the name of a computer file applied to indicate the encoding convention (file format) of its contents. In some operating systems (for example Unix) it is optional, while in some others (such as Windows) it is a requirement. Some operating systems limit the length of the extension (such as DOS and OS/2, to three characters) while others (such as Unix) do not. Some operating systems (for example RISC OS) do not use file extensions.